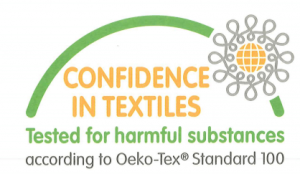 It’s not hazardous in there– Europeans have trusted third party verification of OEKO-TEX® certified latex and so should Americans. They test for potential harmful toxins found in the mattress and off gassing. Don’t trust your family’s health to petroleum polyurethane foam. Strong as an ox– Latex rubber is remarkably strong and able to bounce back time after time, after all that’s what rubber does. For this reason, minimizing body impressions to a mere 1″ indention is an easy promise to guarantee. The Beautiful Mattress has no equal. 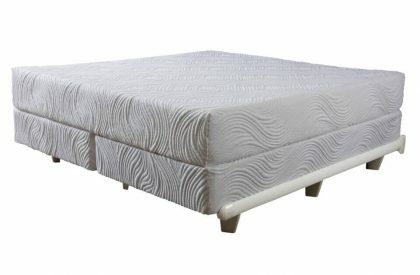 It’s unparalleled with an innovative feel and design and it’s from Pure Talalay Bliss (PTB). When you strive to be different, you don’t build it the same way your competitors build their beds i.e. ordinary sofas & mattress foam. PTB builds a pure mattress using only Talalay Latex Rubber which includes bottomless pressure relief and uplifting support. This is the kind of support that is made for your entire body and it’s not found in a cookie cutter brand name mattresses. 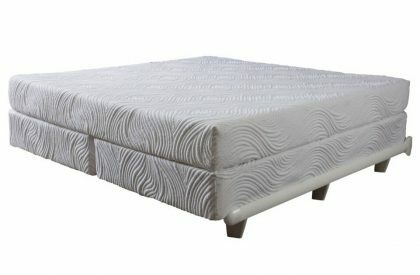 The manufacturing method of the Talalay latex produces consistency and an extensive range of firmness choices that can not only be unique to each layer but when combined, like they are in this mattress, create the ultimate sleep experience. Learn the specifics about these layers below. NOTE: no substitution material like inexpensive petroleum based polyurethane foam, fiber and coil springs. 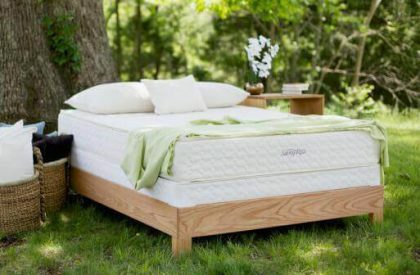 PLB uses only high quality latex rubber from top to bottom so that your mattress will not only retain its shape and look like new longer, but more importantly feel better for more years than most any other mattress made. 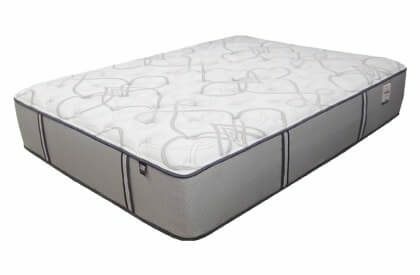 Ordinary brand name beds build and design their mattresses to make them look more substantial in the hopes this will give them tremendous marketing appeal. There is a problem with this theory. 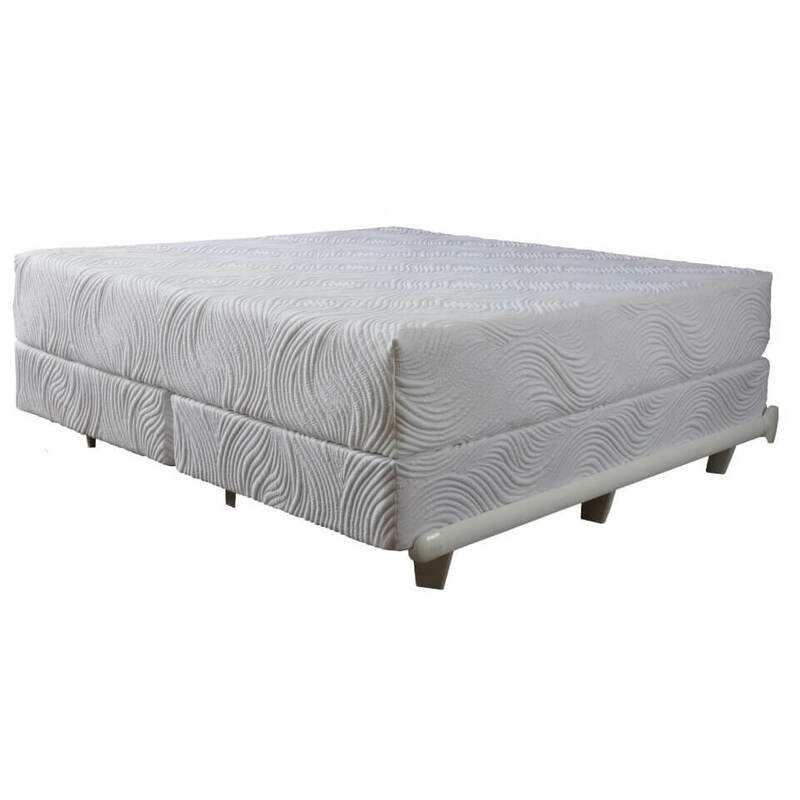 Over a short period of time fluffed up over inflated mattresses flatten out, sag, and develop deep body imprints. Why? Because these companies use fluffy fiber, cheap foam, and coil springs and perhaps a layer or two of latex rubber if you’re lucky. In the end, the mattress is only as good as its weakest component, so they endure fatigues and failures quickly. When you look at the manufacturing applications for rubber, we ask you to consider the typical applications of its use; rubber bands, tires, and even rubber balls. Now ask yourself, why do they use rubber and not foam? Is it because of its durability? 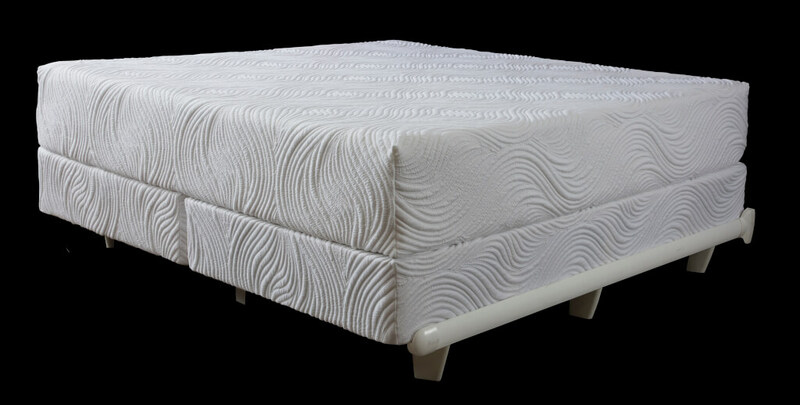 Yes, Pure Talalay Bliss designs their mattresses using latex rubber to last for years, and they hope that you will research and read our product and company and check out the reviews and performance. Know what makes this mattress different? Every Talalay latex layer inside this bed carries the OEKO–TEX® Standard 100 Certification. They are recognized worldwide as an independent third party certifier. They make sure that the latex rubber is thoroughly tested for harmful substances. In addition it must be made in an environmentally responsible and socially acceptable way. We encourage you to learn more by following and clicking the link. There you will see the potentially harmful chemicals & substances known to pose health risks and threaten you and your family. It’s important to know what is not in there when your mattress off gasses during the curing process. 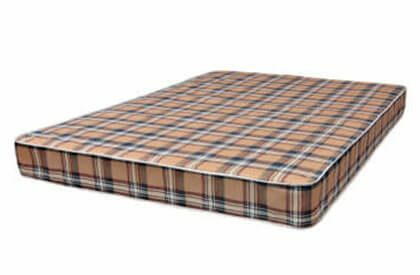 Environmental responsibility and sustainability has become a large part of the latex story which is the reasoning for the inclusion of latex utilizing the Talalay process of manufacturing. It contains natural, biodegradable ingredients that are derived from water-based raw materials and renewable resources: water, air, and natural latex. The incredible material is essentially a rubber-based material and a derivative from hevea brasiliensis (tropical trees). Extraordinary building materials result in better beds.